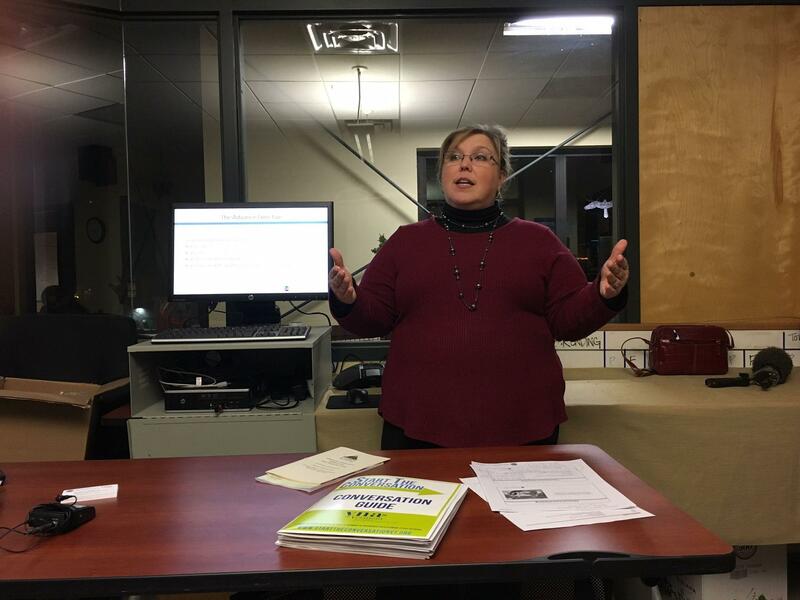 Jewelene Griffin, with Central Vermont Home Health & Hospice, has been giving community presentations to spread awareness about the availability of hospice services. Offer people a choice about where they want to die and the vast majority will say, “At home.” And that’s one of the main goals of hospice care: to give dying patients the comfort of familiar surroundings. Vermont though has one of the lowest hospice utilization rates in the country. That is why Jewelene Griffin, the hospice and palliative director at Central Vermont Home Health & Hospice, spends so much time trying to spread the word about the services her agency offers. On a recent Wednesday evening, in a second-floor meeting room at the Hunger Mountain Co-op, in Montpelier, Griffin welcomed the seven people who showed up for her presentation. Since assuming her role at Central Vermont Home Health & Hospice last August, Griffin has been putting on presentations like this at locations around her agency’s territory. And here’s why: People might not want to talk about death, but it doesn’t mean they don’t have strong feelings about how they want their final months to play out. Seventy percent of people say that, given a choice, they’d prefer to die at home. And yet only 30 percent do, according to Griffin. “And really the way that we can look to bridge that gap is number one, for every one of us to consider what we want for our health care needs, as things progress. What do we want? What do we not want?” Griffin says. Those are the questions that Griffin wants more Vermonters to begin asking, and not just to themselves, but to their family members and close friends. Central Vermont Home Health & Hospice isn’t the only outfit looking to increase hospice use in the state. 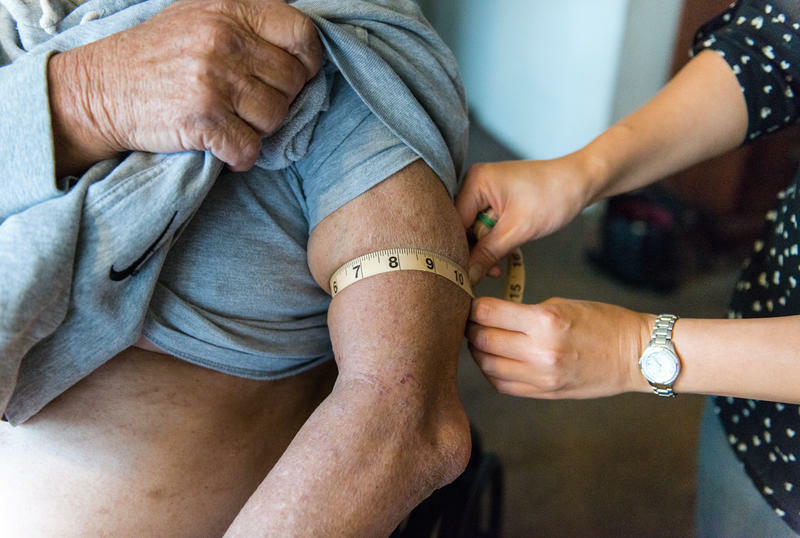 “I think overall what hospice represents is what we’re trying to achieve across the health care reform system,” says Mary Kate Mohlman, director of health care reform for Gov. Phil Scott. Mohlman says hospice in many ways embodies the new mode of health care that Vermont is trying to advance. It’s called “coordinated care,” and happens when all of a patient’s various health providers weigh in collectively on the best approach to care. There’s a secondary benefit to hospice as well. “The last few months of a person’s life are generally the most expensive months of their life, and that’s high hospitalization rates, going to the emergency room,” Mohlman says. And when a patient decides to die at home — and consciously says, ‘No,’ too drastic and frequent medical interventions - it ends up costing the system less money. Griffin says the cost-containment benefits of hospice are an important side benefit. Ultimately though, she says hospice is about changing the way people die. that idea holds a lot of appeal for Marlene McCarty. McCarty saw an ad for Griffin’s presentation at the co-op on the store’s bulletin board, and decided to check it out. “It’s like this thing you don’t want to face — death — and who you’re going to talk to,” McCarty says. McCarty says she’s realizing now that the quality of her last days might have a lot to do with her willingness to face conversations about death more directly. “I’ve had these ideas about how I want to do things, and I don’t know if people would understand what I’d like to do, so it is really important that I get this set up, and not just hope that they know some day,” McCarty says. Copyright 2017 Vermont Public Radio. To see more, visit Vermont Public Radio. Gerald Chinchar, a Navy veteran who loves TV Westerns, isn't quite at the end of his life, but the end is probably not far away. The 77-year-old's medications fill a dresser drawer, and congestive heart failure puts him at high risk of emergency room visits and long hospital stays. He fell twice last year, shattering his hip and femur, and now gets around his San Diego home in a wheelchair. Above all, Chinchar hopes to avoid another long stint in the hospital. He still likes to go watch his grandchildren's sporting events and play blackjack at the casino. I'd already taken dictation from my grandmother on the facts of Grandpa Baron's life. For a person I'd spent so much time with, there was so much I didn't know. The average American reads at an 8th-grade level, but the patient information that doctors and hospitals provide often presumes that people have much more advanced reading skills. 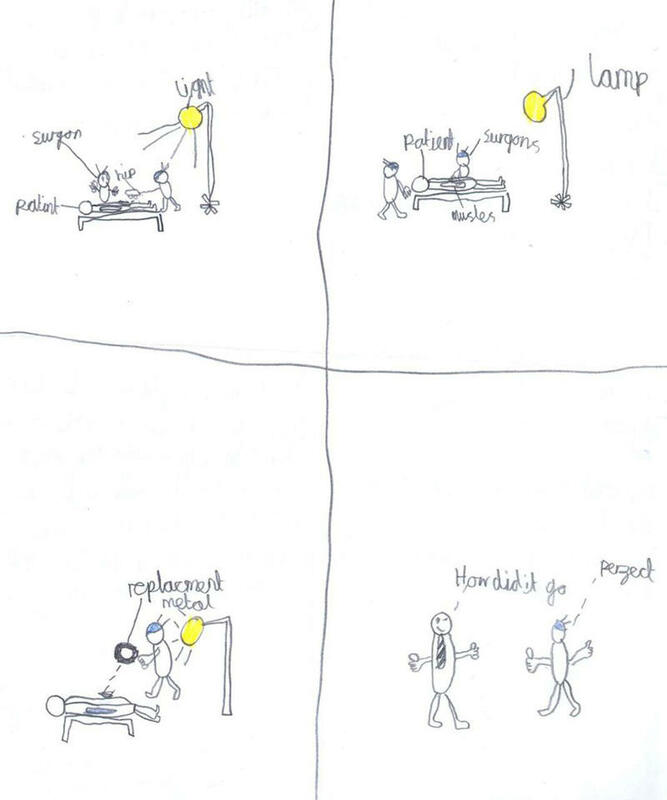 So some researchers decided to see what happens when 9-year-olds write the patient guides. The Massachusetts Senate wants the state to examine what renovations may be needed at the Holyoke Soldiers' Home. The facility provides state-funded medical care to veterans. It was established in 1952.